Visit from Wells Fargo! 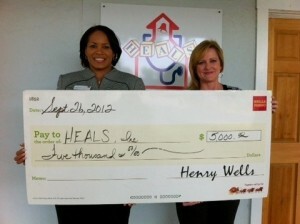 - HEALS, Inc.
We are so thrilled that Louise from Wells Fargo stopped by with a donation to HEALS! This donation will go far to keep children healthy and successful by providing medical and dental care at our school based health clinics.